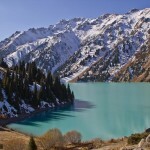 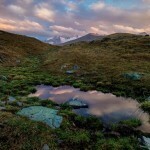 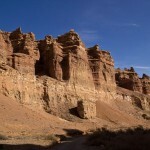 Tamgaly Gorge is located about 170 km north-west of Almaty in Anrakay Mountains. The reserve is located in the section of the road Kopa – Kanshengel. 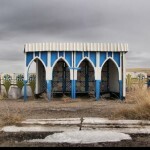 The only pointer in this direction is only on the road Almaty – Taraz, on the way to Kordai pass from Almaty. 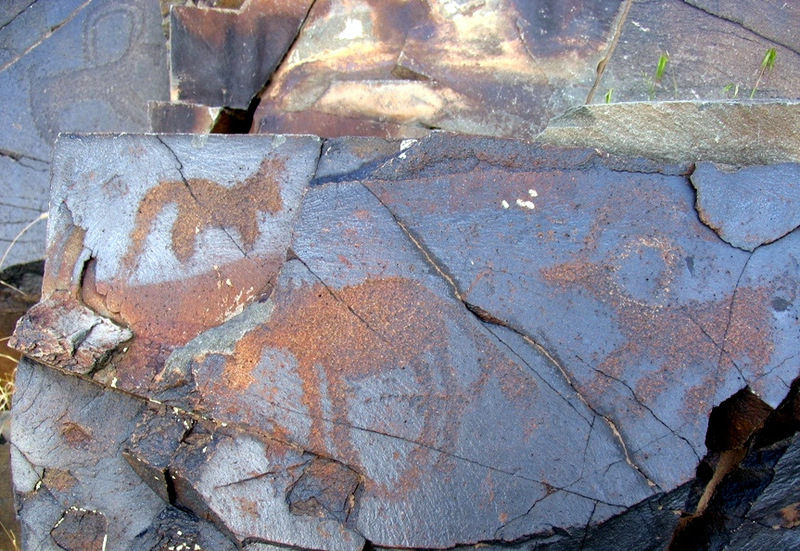 The total number of drawings is about 5000. 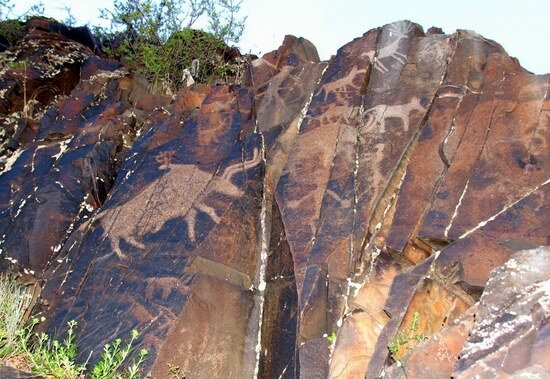 There are images of sun gods, warriors, married couples, pregnant women, as well as multi-figured compositions of people and animals, hunting scenes and scenes of animal sacrifice. 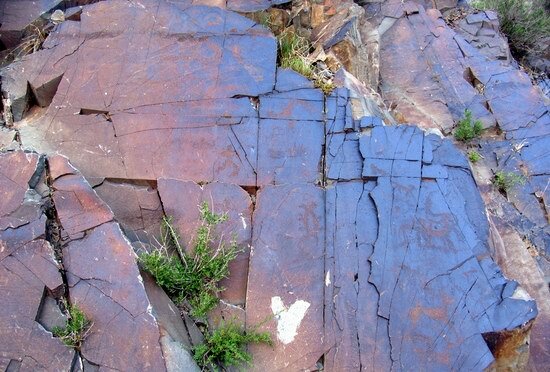 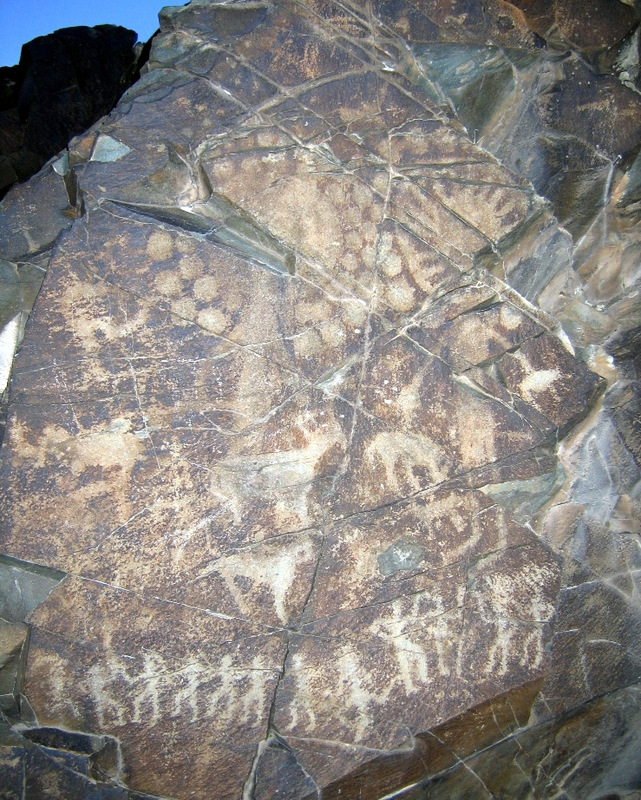 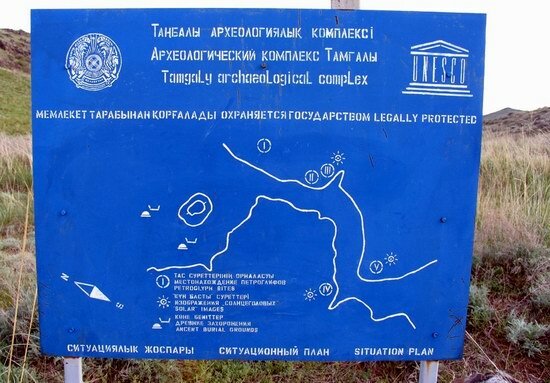 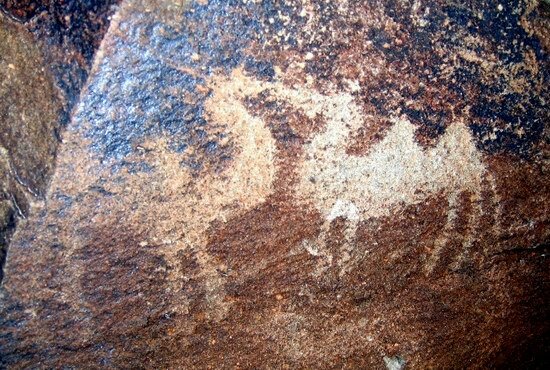 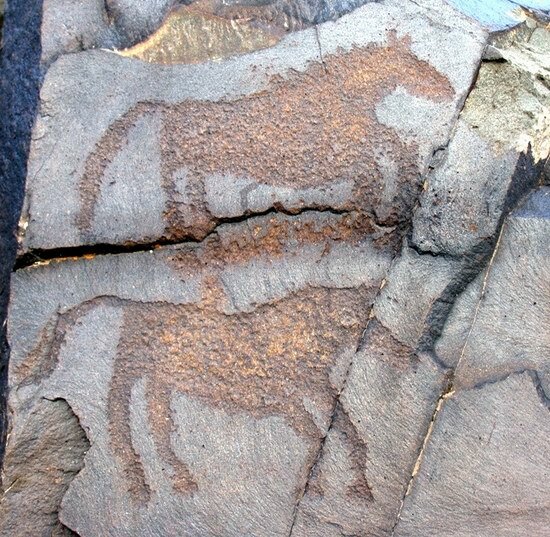 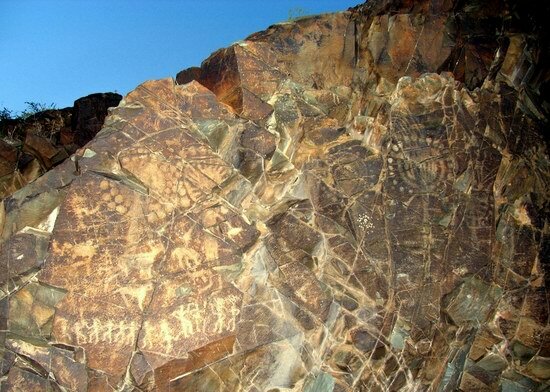 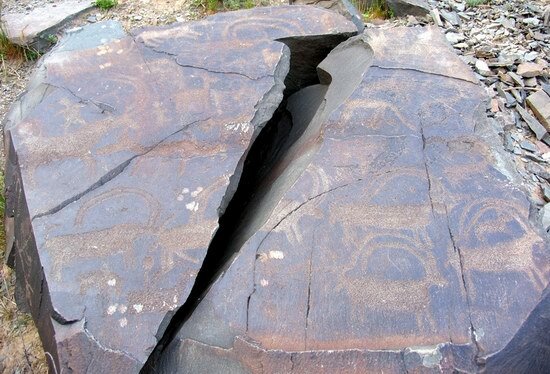 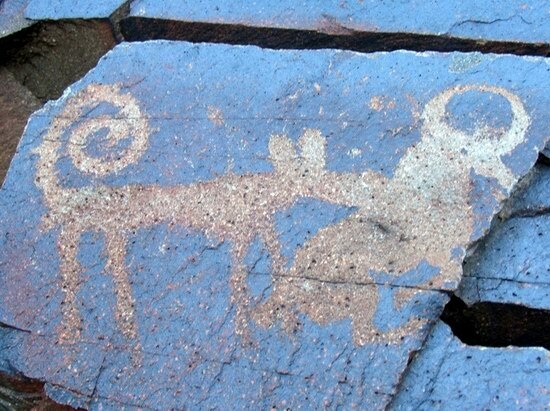 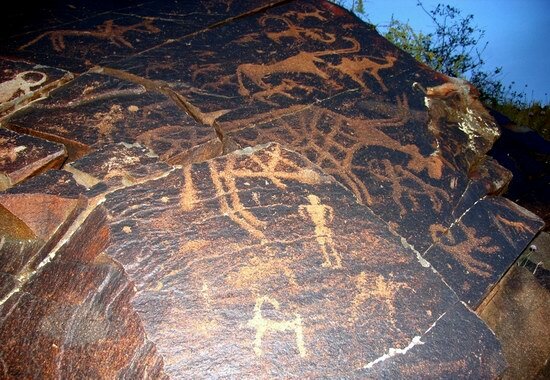 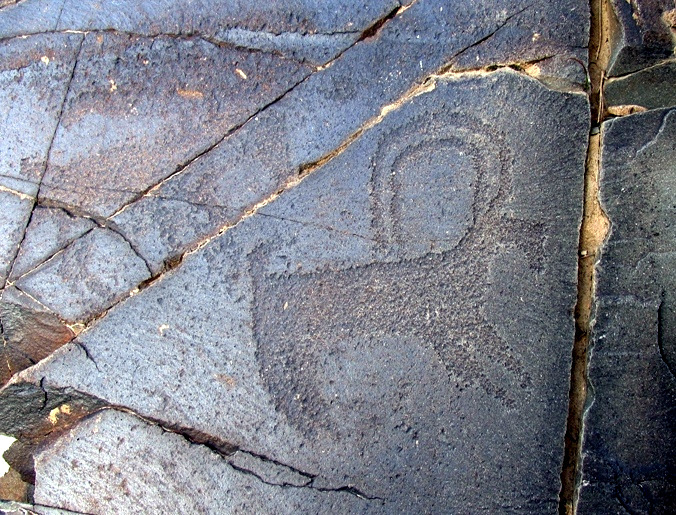 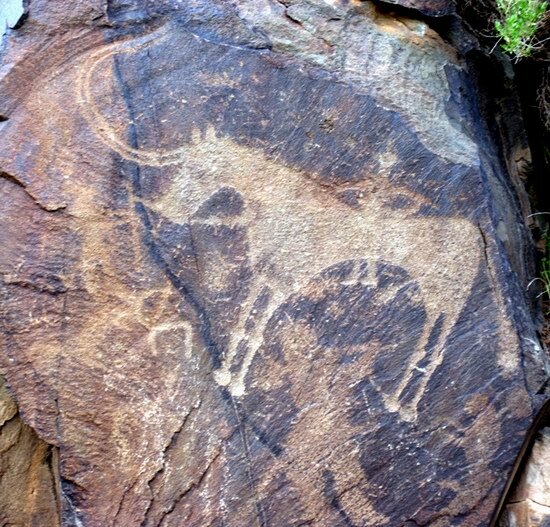 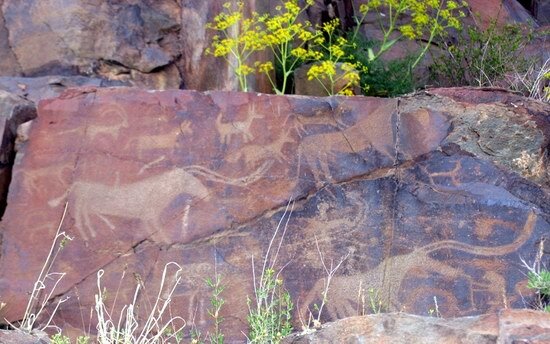 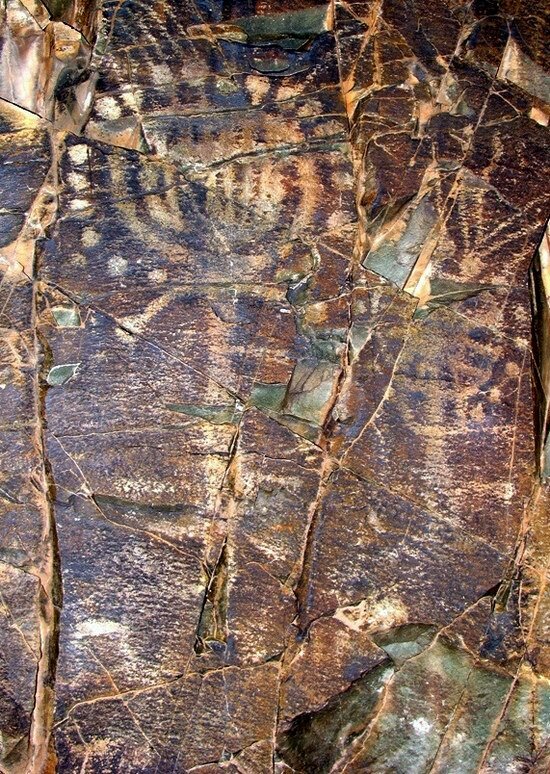 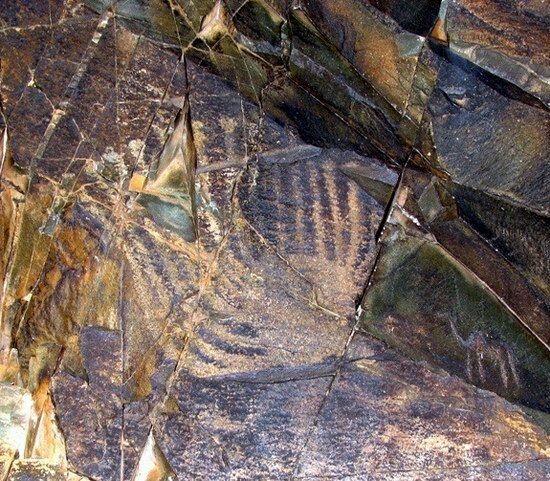 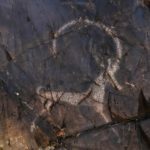 Thank you – This has greatly helped me distinguish between these petroglyphs at Tamgaly Gorge, NW of Almaty, and those at Tamgaly Tas, N of Almaty!